Neuroplasticity – Can You Change Your Brain? Every day I find myself learning new and exciting things about the advances in the educational world. One area that has been fascinating to me is the explosion of brain research and today I happened upon a TEDx Talk that really was a game-changer for me. Neuroplasticity has been getting its fair share of press recently and I am totally onboard with their findings which inspired me to write this blog post: Neuroplasticity - Can You Change Your Brain? In the TEDx Talk a woman named Barbara Arrowsmith-Young, has been doing her own research since way back in 1977. Why I have never come across her work may be due to the fact that she is not a doctor, but an educator and she resides outside of the United States. She was one of those children that struggled severely with learning and as a young adult, she proved that you can change the way your brain functions. Her talk was mesmerizing and, since I have spent 30 years as a special education teacher, I wanted to learn more. She has two schools based in Canada, and the ArrowSmith Program is available to public and private schools in Canada, United States, Australia and New Zealand. The concept has been growing steadily ever since its inception in 1978. The goal of the Arrowsmith Program, is to help students strengthen the weak cognitive capacities underlying their learning dysfunctions. The Arrowsmith Program deals with the root causes of the learning disability rather than managing its symptoms. Barbara Arrowsmith-Young has also written a book, that I promptly requested at my local library via inter-library loan. It will be several days before I dig into it – I'm thinking that will render another blog. In the meantime watch the TEDx Talk and see if you are as taken aback as I was. 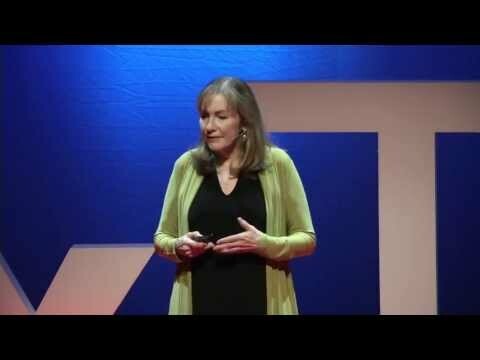 Barbara Arrowsmith-Young tells the compelling story of how she tapped into neuroscience research and used neuroplasticity to transform her brain and life, then went on to create the Arrowsmith Program. Readers will learn of Barbara’s own story, as well as those of many others who have profoundly changed their lives through strengthening their learning capacities. As Barbara noted upon release of the book: “In my book The Woman Who Changed Her Brain, I combine my own personal journey with case histories from three decades as a researcher and educator, unraveling the mystery of how our brain mediates our functioning in the world. This book details the brain’s incredible ability to change and overcome learning problems and deepens our understanding of the workings of the brain and its profound impact on how we participate in the world. My work has been and continues to be a labor of love, and I am honored to share with you through this book my journey and life’s work.